Hano​i (VNA) – The Malaysian Government signed a deal on January 10 with US-based Ocean Infinity in a new attempt to search for the missing Malaysian Airlines aircraft MH370 in which the seabed exploration firm will receive up to 70 million USD if it finds the jet. 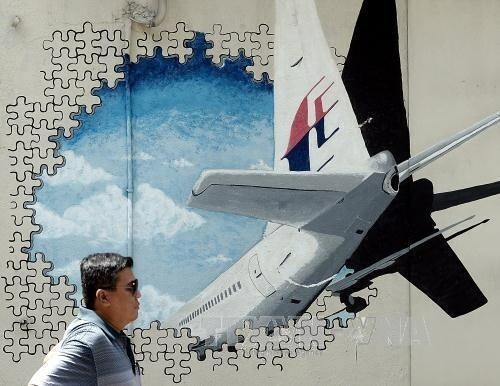 The private company will search for MH370 in the 25,000-sq.km priority area on “no-cure, no-fee” basis, meaning it will only get paid if it finds the plane, said Malaysian Transport Minister Liow Tiong Lai in a press conference after the signing. Under the agreement, Ocean Infinity will be paid 20 million USD if the plane is found within 5,000 sq.km, 30 million USD within 10,000 sq.km, and 50 million USD within an area of 25,000 sq.km. Beyond that area, the firm will receive 70 million USD, he noted. Its priority is to locate the wreckage or the flight and cockpit recorders, he added. Ocean Infinity has dispatched the search vessel Seabed Constructor to search for the debris in the southern Indian Ocean with 65 officers and crew members on board, including two government representatives from the Malaysian navy. The search will start on January 17 and is expected to last 90 days. MH370 with 239 people aboard went missing en route from Kuala Lumpur to Beijing on March 8, 2014.